School is back in session and that means getting back into the routine of classes, clubs and squeezing in some exercise amongst it all. While you’re still freshly rested from summer and ready to crush your goals, UBC Rec is bringing back Free Week for all their classes from September 10 to 16. Whatever your availability or preferred workout, there’s something for everyone, so be sure to check out their schedule and try something new while it’s free. In the Aquatics Centre on Thursday from 2:15-3:15 p.m., or Tuesday from 7:30-8:30 p.m.
You may have done these activities on their own, but who isn’t intrigued by the concept of adding an extra element of water to the whole thing? Aqua Yoga is meant to “loosen muscles and joints, increase flexibility and improve balance” as well as being a great way to unwind after a hectic day. Aqua Zumba is a bit more high-energy and includes easy to follow dance moves to latin music in shallow water. In the Dojo in the Student Rec Centre on Thursday from 8-8:55 a.m. and Friday from 5-5:55 p.m.
Get energized to conquer this year’s goals with a street kickboxing class. The class combines several types of martial arts from around the world including Thai Kickboxing, Western Boxing, Savate and more. The conditioning-heavy class will also allow you to work on building strength throughout entire body. At Ponderosa on Wednesday from 6-6:55 p.m.
Get groovy with Groovazon, an original dance-workout combination created by dance coach and choreographer Gustavo Ferman. Groovazon combines funk dance, disco rhythms, hip hop vibes and jazz-inspired moves. Break it down to old skool and new wave music while also breaking a sweat. In the Aquatic Centre on Friday from 6:15-7 p.m. and Sunday from 11:15 a.m.-12 p.m.
Really work on those core muscles and your balance with this specialized Aquacize class that is performed on floating stand-up boards/mats. The class focuses on exercises to build core strength as you try not to fall in the water. In the Student Rec Centre on Monday or Wednesday from 4:45-5:30 p.m., and Saturday from 11 a.m.-12 p.m. The bikes may be stationary but you definitely won’t be with this high-energy group cycling class. Great music and positive instructors will keep your heart beating and legs pedalling through the last few miles. In the ARC on Tuesday/Thursday from 4:30-5:25 p.m., at Ponderosa Monday/Wednesday/Friday from 5-5:50 p.m. and Bootcamp II Tuesday/Thursday from 5-5:50 p.m.
Bootcamp may sound like a scary word, but luckily there are a few different beginner level classes that’ll get you into a routine without feeling overwhelmed. The bootcamps all combine cardio, strength and stretching exercises — perfect for working on every part of your body all at once. 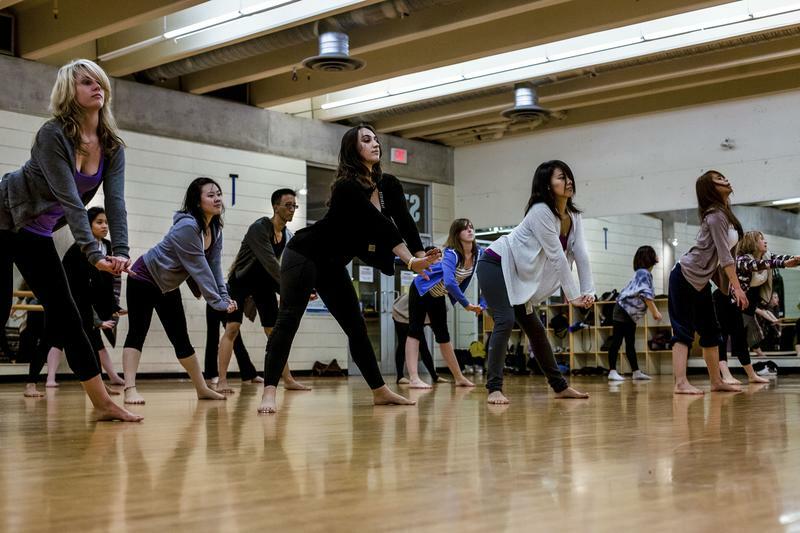 For further class information and a full class schedule, see the UBC Recreation website.